We’ve just started using a new software application as part of our drive to do everything in the cloud. We recently signed up for Google Apps for Business and shifted our emails into the Google Mail system, are integrating Google Drive for cloud-based storage and we’re starting to play with some of the other applications that also integrate with Google Apps. One of these is Lucidchart – an online process mapping and diagramming application. I spent this morning playing with it and mapping out a couple of things for our local education programme which we call SMART. 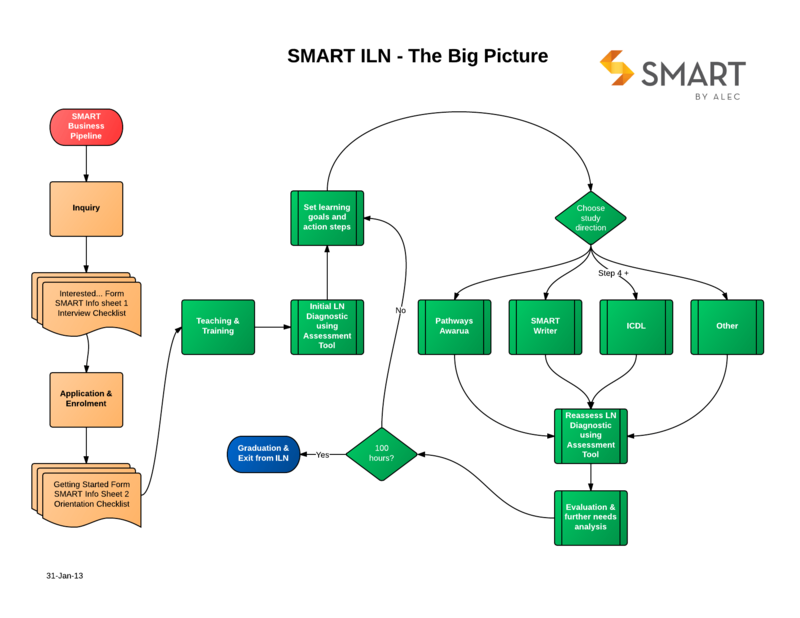 The diagram below is the big picture for what we do with SMART in Taupo, through the inquiry stage, application and enrolment stage, and then into our teaching and training including needs analysis, literacy numeracy diagnostic processes, and several online learning platforms that we use with learners. The version below is several iterations on from the original that I brainstormed with our Taupo team. The diagrams and process maps in the cloud and integrated with Google Apps. Our team can share and collaborate on these easily across Mac and PCs from work, at home, or on the road. We don’t need a printed QMS any more… our new Google Drive including Lucidchart processes and diagrams will replace our old paper-based QMS. The software is easier to use than what I used to do which was use the flowchart boxes in Microsoft Word. I don’t need or want all the bells and whistles available in Word when I’m mapping out a process so Lucidchart works well. Rather than saving and re-saving a static document to Dropbox, I’ve got a dynamic browser-based document integrated with Google Apps. 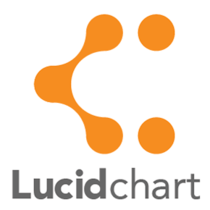 Lucidchart is keen to support educational organisations so we have a free licence for a year. Thanks guys…! And they do nice curvy arrows with no drama. I’ll do the same thing with our NCALNE (Voc) and other business processes moving forward this year. I hope to transform our quality management system into something which is more dynamic, cloud-based, and alive. I’ll let you know how I get on. Anyone doing anything similar? Let me know in the comments. Lucidchart is a fantastic program. I love using it to make flowcharts and other diagrams of the things I’m working on. Visually depicting my work really helps me to gain a greater understanding of it.